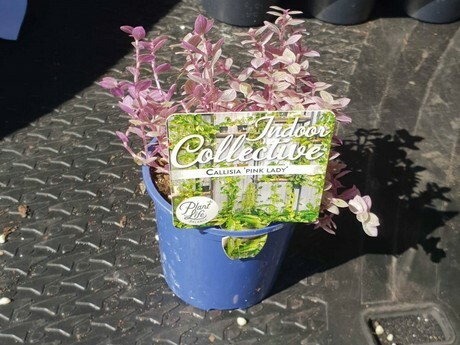 The Department of Primary Industries and Regional Development is urging home gardeners to hand in a prohibited plant mistakenly sold in Western Australia over summer. Callisia repens, commonly known as creeping edge plant, is present in other States but is prohibited in Western Australia due to its potential environmental impact. Gardeners who recently purchased a Callisia Pink Lady from Bunnings stores should return it to their store of purchase for a full refund. Department invasive species priority weeds manager Kay Bailey said the plant was sold at stores in the metropolitan area and regional areas including Albany, Kalgoorlie, Geraldton, Bunbury and Busselton. “It is a long-lived herbaceous plant with creeping stems forming dense mats of vegetation,” Ms Bailey said. Ms Bailey said the department was working with Bunnings to raise customer awareness and locate these plants. Callisia repens leaves are densely clustered along the stems but gradually become smaller and more distant from each other along the flowering stems. These small leaves (1-4 cm long) are usually green, often with numerous tiny purple spots or purplish margins. It has small white flowers. Enquiries can be made to the department’s Pest and Disease Information Service on +61 (0)8 9368 3080 or padis@dpird.wa.gov.au.